“World crude steel production reached 1,414 million metric tons (mmt) for the year of 2010. This is an increase of 15% compared to 2009 and is a new record for global crude steel production. All the major steel-producing countries and regions showed double-digit growth in 2010. The EU and North America had higher growth rates due to the lower base effect from 2009 while Asia and the CIS recorded relatively lower growth. Annual steel production has increased to a new record, fully recovering from the reduced production in 2009. This reduction was fully caused by production outside China. Chinese production has increased every single year for the past decade. 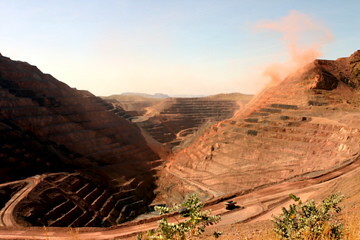 The new iron ore pricing system leads to complaints about higher raw materials costs with many steelmakers (current spot price at $175/tonne). The recent spike in coal costs (currently up to $350/tonne) further reduces the margins of the steel makers. American producers are posting significant losses. Focus of the industry is on the new tax policies to be introduced in China to cool down the economy. Increased consumer prices of steel might have a significant impact on the growth rate of the Chinese industry, starting in the second half of 2011. Across the world the increased prices of raw materials will be passed on to customers, as the mining and transportation costs are not likely to return to the levels of early 2009 with global supply conditions.